Birmingham sits comfortably inside the top 25 property hotspots in Europe. 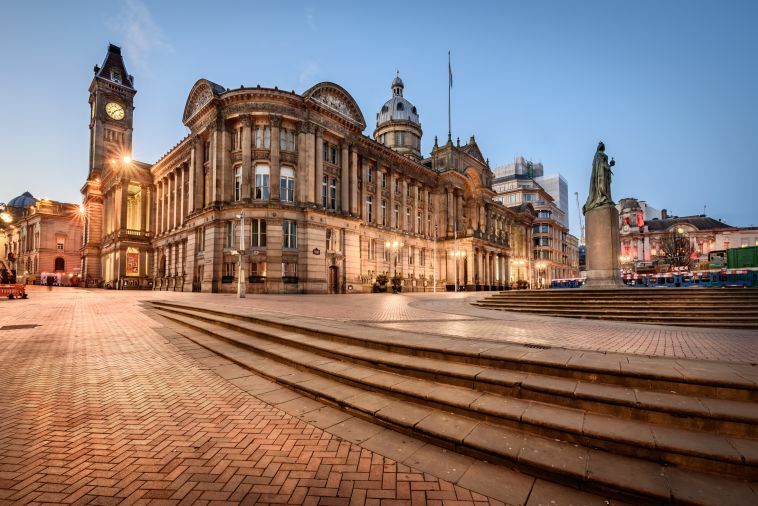 The largest and most populous city in the United Kingdom after London, Birmingham offers cultural diversity, flourishing business growth and a rapidly developing property market. The city boasts year on year property growth greater than London for the start of 2017 and ranks as the highest UK city for investment prospects 1 . 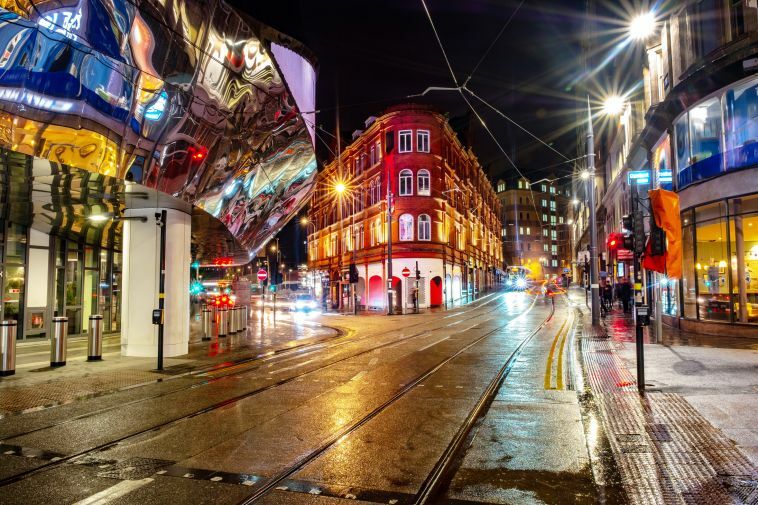 The recent overhaul of the city’s infrastructure and the halo effect of the opening of two new stations in the city centre means Birmingham sits comfortably inside the top 25 property hotspots in Europe. With over 1.1 million residents, Birmingham has developed into an economic hub. 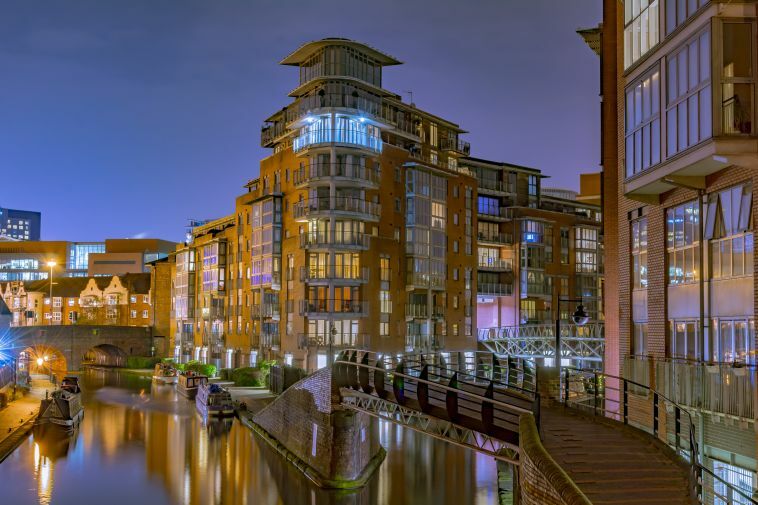 Having recently been the recipient of a £500 million ‘Paradise Development Programme’, Birmingham 2 continues to attract investment both from within the UK and from abroad. Birmingham has the 2nd largest metropolitan economy in the UK, behind London, which it also closely follows in educational institutions, with six universities 3 . It is the 4th most visited city in the UK by foreign visitors, which it owes much to its multicultural population and diverse set of cultural establishments such as The Birmingham Royal Ballet and the Barber Institute of Fine Arts. The development of Birmingham into a global city came in the 18th century 3 . The Midlands Enlightenment, following the Industrial Revolution, put the town at the forefront of worldwide advances in science, technology, and economic development. This resulted in many innovations that have helped craft the foundations of modern industrial society. The development of Birmingham, known as one of the first manufacturing towns in the world, continued rapidly until the 2nd World War. The bombing of the city in the early 1940’s led to the mass demolition and subsequent redevelopment of the city centre. In recent times Birmingham has been the recipient of an influx of investment, partly due to the new HS2 line, a catalyst for economic growth as the government looks to the Midlands for development opportunities to accompany the ‘Northern Powerhouse’ scheme. Research by the Office for National Statistics (ONS) has found that businesses are being created at a far greater rate in Birmingham than anywhere else in the UK. The city’s business rate grew by 8.1% in 2016 4 . Large companies, such as PWC, have committed to relocating to Birmingham’s new developments and The BBC has also moved operations of BBC Three to the city. Both act as further evidence of the increasing commercial uptake and sustained demand of Birmingham’s property market. The city of Birmingham is an important manufacturing and engineering centre. The industry employs over 100,000 people and contributes billions of pounds to the national economy 3 . However, just 63.4% of Birmingham’s residents are economically active, well below the UK’s end of year figure for 2016 of 73.9% 5 . In recent years, there has been a further decline as Birmingham has shifted away from its manufacturing heritage. The leading industry is now Professional Services, employing 24% of the working population, while Construction & Manufacturing sits at 13% 5 . In 2016, Birmingham’s business base grew by 8.1%, beating both Manchester (7.2%) and London (6.4%). 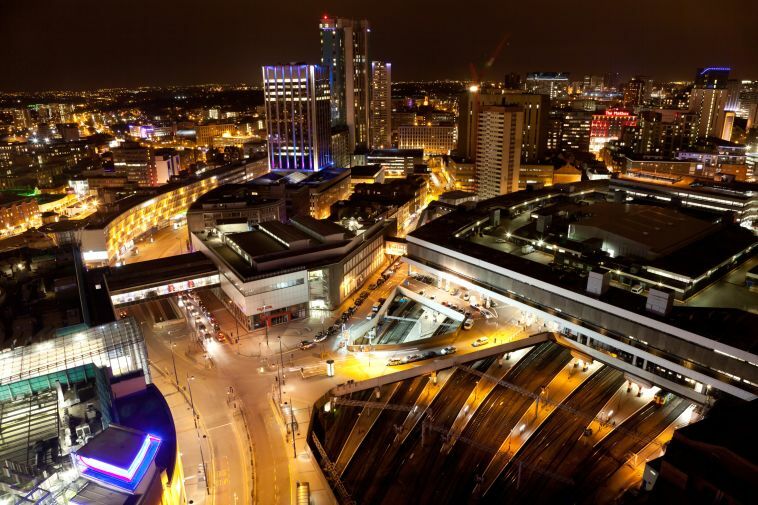 Birmingham’s growth doubled the national average of 3.5% 4 . In 2015 The city posted a rate of Economic growth of 5.2%, well above the average rate for the core cities of 3.7% and double the UK rate of 2.6% 4 . The commercial property market in Birmingham is healthy and growing. In the first quarter of 2017, Birmingham saw £323 million in office investment - over three times the 10-year quarterly average 6 . The future is also bright with the £500 million Paradise Investment project set to further expand the Grade Aoffice space in the heart of the city, seeking to meet the HMRC’s requirements of an additional 240,000 sq ft by 2019. Birmingham’s commercial property market is dominated by office space and has a quarterly average uptake of 125,750 sq ft. There has been a recent trend of increased uptake following a record year in 2015 and a record first quarter in 2016 2 . The first quarter of 2017 saw £323 million of office investment in Birmingham, over three times the 10-year quarterly average. This was largely down to HAIL's (HSBC Alternative Investments) record £265 million acquisition of Brindleyplace, reflecting a yield of 6%. With a weak Pound, regional offices remain attractive to the overseas market too – Alduwaliya's £22.5 million purchase of 111 Edmund Street being a key example. 2017 uptake for the city centre is expected to finish at around 750,000 sq ft. The most active business sector during the first quarter was engineering, which accounted for 18% of uptake. This trend is expected to continue over the next two years with HS2 ongoing. Following the 2015 Birmingham Housing Prospectus, where multiple sites for future residential developments projects were listed, investors have flocked to seize the opportunity to aid the building of 20,000 new homes by 2031 as targeted by Birmingham city council. The most active business sector during the first quarter was engineering, which accounted for 18% of uptake. This trend is expected to continue over the next two years with HS2 ongoing. Top rents stand at £32.50 per sq ft, but this is predicted to grow beyond the historic headline of £33 per sq ft as prime developments near completion toward the end of 2018 6 . Birmingham saw record numbers for retail development in 2015 and 2016 (more than £1bn of investment). The recent opening of the Grand Central Centre has seen over 30 new retailers take space in the development and it’s become the largest retail project in Birmingham for over a decade. Joules, The White Company and Kiehl’s now have a presence in Birmingham, along with Leon, Giraffe and Tortilla. Apple, Harvey Nichols and Primark have also all upgraded their store sizes in Birmingham city centre with Primark securing planning permission to redevelop the Pavilions Shopping Centre. The project will create 150,000 sq ft of retail space as well as a pedestrian walk through from the High Street to the anticipated HS2 rail station at Millennium Point. Office space costs are rising across the UK and with a record number of new businesses coming to Birmingham, serviced office space is considered a low-cost alternative. Located in the Heart of the city centre at 58 Oxford street, just a walk away from the Bullring, Impact hub is a 6000 sq ft work space for creative entrepreneurs to develop their business. Coffee and Tea is provided at no extra cost and can be enjoyed in the complementary lounge, which is utilised for meetings or post work relaxing. The collaborative nature of this co-working space is what will allow businesses to thrive in such a prestigious location. i2 offices provide a range of services - from virtual offices, through to meeting rooms, private offices and business lounges. Situated at no.3 Brindley Place in the heart of Birmingham and no.2 Snow Hill, opposite the station, means accessibility and centrality are both achieved with these contemporary office solutions. Birmingham has an advantage compared to many other areas of the UK due to its geographical position. The city is within four hours travel time of 90% of the UK’s population and business. It is located at the hub of the UK’s motorway and rail network and is home to Birmingham Airport, the third busiest UK airport outside of London and the South East. Birmingham is being cited as the UK’s new ‘rail city’ due to the imminent arrival of HS2. The future development of Birmingham Curzon station and the recent overhaul of New Street station leaves Birmingham with the infrastructure to further build upon its recent economic growth. Birmingham Airport has a footfall of over 11 million passengers per year and is also one of the few UK airports to cater for Airbus A380. Midland metro has 26 stations which serve the purpose of linking the city centre, the suburbs and the neighbouring city of Wolverhampton. A further £1.3bn is being invested to connect Birmingham’s city centre with the rest of the West Midlands over the next ten years. Birmingham is the most culturally diverse city in the UK. At the time of the 2011 census, 53.1% of the population was White British, 13.5% Pakistani and 6% Indian 5 . Birmingham is also home to a large LGBTQ community, mainly due to the Gay Village, situated near to the Chinese Quarter in Birmingham city centre. In 2009 the LGBTQ population was estimated at 60,000 - 6% of Birmingham’s total. The Gay Village plays an important economic role for Birmingham, with 75,000 visitors coming to Birmingham Pride in 2016. Birmingham boasts a rich history of arts and culture and invested over £3 billion into the sector from 1978 to 2003. The artistic strengths of Birmingham and the West Midlands are unrivalled; the City of Birmingham Symphony Orchestra, the Royal Shakespeare Company and Birmingham Royal Ballet all call the city home. Birmingham is also home to many world-renowned galleries, including the Barber Institute, the Ikon Gallery and the New Art Gallery Walsall. Performance venues across the city include the acclaimed Symphony Hall, the Hippodrome Theatre and The Drum, one of the UK's biggest African, Asian and Caribbean arts centres. Birmingham is also a world leader in jewellery crafting and its jewellery quarter is regarded as one of the best in the world. Birmingham has been a global sporting city for more than a century; Edgbaston is a regular host for Test cricket, The Alexander Stadium hosts the British Athletics Championships annually and in 2018 Birmingham will host the World Indoor Athletics Championships. Two large football clubs are also based in Birmingham: Birmingham City and Aston Villa (the latter being one of the earliest members of the first division and a past European Cup winner). In 2016 the UK saw plunging levels of home ownership and Birmingham did not buck this trend. Between 2005 and 2016, home ownership in the West Midlands fell from 70.5% to 59.3%. The number of households renting privately more than doubled from 8% to 17% 7 . Multiple causes have been cited for this, however, the overriding factor is the sharp rise of Birmingham house prices. The current average is £189,220 according to Zoopla’s house price index. Investors have looked outside of London to find property value and Birmingham has absorbed much of this demand. Following the 2015 Birmingham Housing Prospectus, where multiple sites for future residential developments projects were listed, investors have flocked to seize the opportunity to aid the building of 20,000 new homes by 2031 as targeted by Birmingham city council.